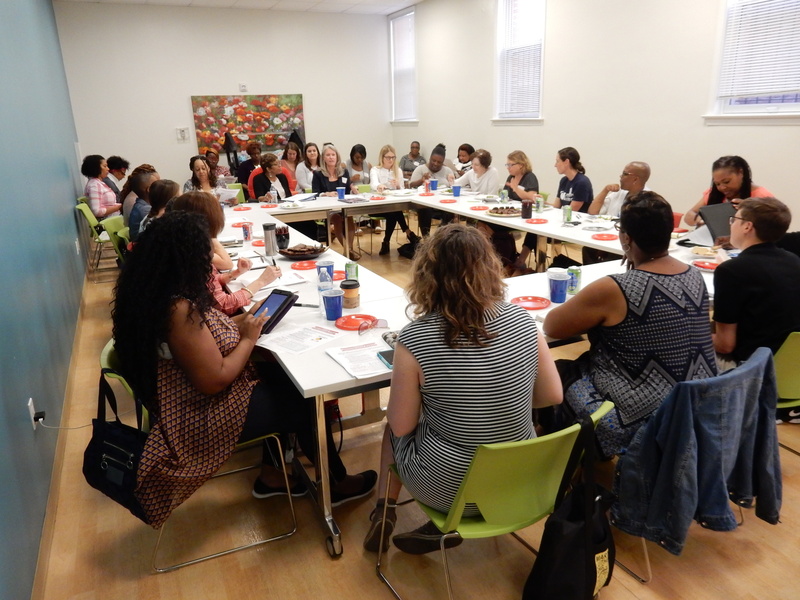 On Friday, June 9th, Calvary hosted a meeting of the Interagency Council on Homelessness (ICH)* Women’s Task Force. I was thrilled by the number of people who attended and their commitment to improving the lives of homeless women in our community – about 40 people representing over 25 agencies participated in the meeting. Together with Wanda Steptoe, executive director of New Endeavors by Women, I co-chair the Women’s Task Force, which was created to address the experiences and needs of homeless women in Washington, DC. With the support of the Community Partnership, and using data from the 2017 Point-in-Time Enumeration for the District of Columbia, the Task Force will release a fact sheet on homeless adult women who are single and who are not experiencing homelessness as part of a family unit (the population that Calvary serves). 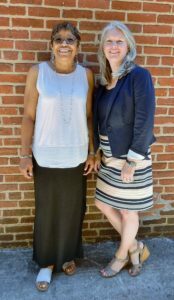 The intersection between domestic/intimate partner violence, sexual assault, and trafficking, in partnership with providers if domestic violence housing and services. When Wanda and I began working on this, we talked about the women we see every day in our programs – women who come to the door with visible injuries and scared expressions on their face; women who are over 65 years old and have no way of making rent in DC with only a social security income; women who have lost their homes and income because of health problems. The Task Force’s advocacy and creation of solutions for these problems is critical. I am honored to take a leadership role in working with DC government, service providers and community leaders to continue to make services for homeless women a priority. * The ICH is a group of cabinet-level leaders, providers of homeless services, advocates, homeless and formerly homeless leaders that come together to inform and guide the District’s strategies and policies for meeting the needs of those who are homeless in DC.